Guy: This week welcome to the show Gregg Braden. 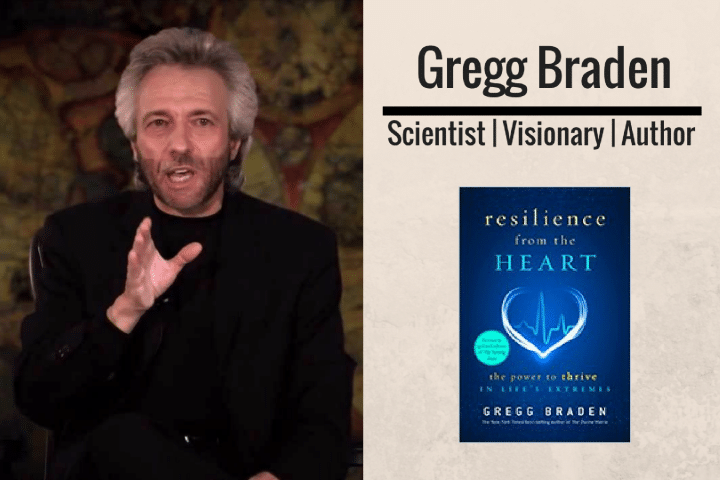 New York Times best-selling author Gregg Braden is internationally renowned as a pioneer in bridging science, spirituality and the real world! Following a successful career as a Computer Geologist during the 1970’s energy crisis, he worked as a Senior Liaison with the U.S. Air Force Space Command during the Cold War years of the 1980s. Join Gregg on his long awaited Southern Hemisphere tour. If you met a stranger on an aeroplane, how would you best describe your work? What does the word ‘science’ mean to you, and does science always get it right? Should we listen to our heart more than our head, and if so, how do we tap into the hearts wisdom? What 3 things could I do right now to live my day in a more heart centered place than fear? Hey everyone. This is Guy Lawrence, of course, of 180 Nutrition. Welcome to another phenomenal episode of the health sessions as far as I’m concerned. 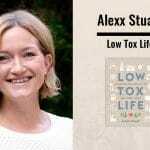 Of course, we’re always connected with the leading global health and wellness experts to share the best and latest science and thinking and we can all empower ourselves to turn ourselves around with this knowledge, and that is, well, that’s the plan anyway, we keep doing this podcast. [00:00:30] I tell you what, I feel like a kid in a candy shop at the moment with the guest we’re having on because we had Gregg Braden on, who’s our awesome guest today. 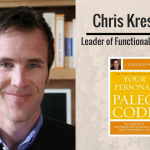 Gregg has been a big influence in my life with his work along with, obviously, Bruce Lipton and Dr. Joe Dispenza and a few others that we talked about on the podcast. It’s finally amazing to sit down with Gregg for an hour and, yeah, shoot the breeze with all his work. He’s absolutely beautiful human being. He is doing phenomenal work, and absolutely necessary work as far as I’m concerned. [00:01:00] If you have no idea what Gregg’s about then you’re going to be in for a treat. Just sit back and enjoy this show. We’re getting on to the bigger picture of stuff with Gregg today, which I think it’s just as important as the things that go on in our own lives. Also, we talked about things from the heart, the discoveries and what we’re finding around the heart as well, and how we can take all this knowledge and then start applying in our lives. [00:01:30] Gregg, we talked on the show anyway, he is coming to Australia very shortly and New Zealand through February. Come back to our website 180nutrition.com.au. Simply type in Gregg into the search field and all tour dates will be there for you anyway. [00:02:00] Yeah. Anything else to add to this before we go over to Gregg? Not really. If you’re enjoying our shows always please leave us a review on iTunes if you can, give us also rankings, and honest review, of course. It helps spread the word out there because more and more find this, access information and then hopefully go out and apply in their lives, which is what we’re all about. Anyway, let’s go over to Gregg Braden. Enjoy. This is awesome. You all may know my work better than I do because it’s been so long since I wrote some of those books. I’m going to follow your lead. I’ll follow your lead, we’ll do dance. All right. Let’s start. Hi, this is Guy Lawrence. I’m joined with Stuart Cooke, as always. Good morning, Stu. Our wonderful guest today is Mr. Gregg Braden. Gregg, welcome to the podcast. Good day, mates, from High Desert of Northern New Mexico where it’s, actually it’s a cold overcast snowy day in this High Desert. I’m really happy to be with you and my Australian family today. It’s an honor to be with you today. Thank you. [00:03:00] Thanks so much for coming on, mate. There’s one little question I ask everyone when they first come on the show, and that is, you’re going to be on an airplane to Australia within a month anyway, so when you get on an airplane and let’s say you sat next to a complete stranger and they asked you what you did for a living, what would you say? Well, that’s not a hypothetical question. [00:03:30] The way it usually goes is you sit down and they say, “Is this your first time?” Then say, “Business or pleasure?” I usually say yes. Then they say, “Well, what do you do for a living?” I say, “Well, how much time do you have?” If we’re going from LAX to Australia, we’ve got about 13 hours, so they get the whole story. Let me answer this in a different way. [00:04:00] I was on a recent radio program and the interviewer was obviously frustrated with me. Excuse me. He asked me a question right off the bat. No hello, good morning, or anything like that. [00:05:30] I’m a scientist. I’m a degreed geologist and my background is in ocean sciences. It’s a math, physics, life science, biology, marine biology specifically, and computer science. In a very real sense, all of those things work together to do precisely what I said to that gentleman to help us understand ourselves in ways that are based in rock solid science. [00:06:00] We need to be honest, truthful, and factual with ourselves about who we are and what our relationship to our world and to one another and what our bodies really is. Because so many of our life choices, the way we solve our problems, the way we heal our bodies, our medical decisions, our decisions of partnerships, who we choose to have a partner with and how long they last, the way we’re solving and addressing climate, the way that we’re dealing with social issues, as different as they are from one another, they all come down to the question of who am I as an individual, who are we collectively? [00:07:00] We have been steeped in a scientific story that’s not true for 150 years – 150 years. We have been steeped in a story of separation, competition, conflict. Consciously and subconsciously, it comes into play with everything that we do, every problem that we solve, every relationship. My sense is to the degree that we can become honest with what the new discoveries that overturn that 150 years of thinking and, if we can share those in a meaningful way in our lives, then it helps us to think and live differently in a way to embrace the changes that we’re seeing. We’ve never seen the world changing like it is right now. That is the trust. Actually, 2017, this is 31 years, this is my 31 year anniversary of offering this material in one form or another. It’s been the same thing for 31 years. [00:07:30] Amazing. I was going to have to say as well, have you always been this curious about this kind of work, if you look back from what you used to do, or was it like a transition into doing what you do? Because even for myself, like the last couple of years, I’ve just become more aware now and I’m starting to pick up speed and looking into it more, just coming into my context button. Yeah. [00:08:30] Well, because we have an hour, I’ll answer that a little bit more fully and honestly. I typically would brush that question aside. I come from a very dysfunctional family, an alcoholic father, a lot of abuse in the family. My mom, I had a younger brother, we all got the bad into that. My father left our family when I was 10 years old. From the time that I learned to read, music and science were my refuge because of the dysfunctionality. I’ve always, always been drawn to the mysteries of the past. I liked the idea that there are mysteries that we haven’t solved yet and some of the ones that we think we have solved now we’re beginning to understand that we really haven’t solved them at all. [00:09:00] At a very early age I was very astute observer. I’m a good listener. I’m a student. I’m learning, continue to learn. I’ve always, always been a very good listener and a good observer. What I saw when I was a kid, and this is back in the ’50s and the ’60s, I’m giving my age away here, back in the 1950s and ’60s, I saw two places where people could move huge audiences in ways that nothing else could. At rock concerts, 50, 60, 70,000 people in the stadium could go into that stadium and have their heart and soul absolutely rocked, literally rocked, by what was happening on the stage. I also saw it from speakers, at that time, and I’m not saying that I agree with the content, but speakers, religious speakers like Billy Graham, Poltz, who drew these huge audiences. [00:10:00] Here’s the thing, what I noticed was, after the music or after the speaker was finished, audiences have very different reactions. When the music was finished people felt that they needed something more. They needed to have to hear that music again, to have a recording, or “Where’s the next concert?” Because it was a passing, it was a fleeting experience, only in the moment of the music. Whereas the speakers, if they could share something, an idea that shifted the way an individual in the audience thought about themselves or saw their world, that idea stayed with them. They might go buy a book, but even if they didn’t, they had a new way of looking at the world. [00:10:30] At an early age, I knew I would either be a rockstar – and I’m still a musician, I play everyday, and it’s an important part of my journey and I had talked about that in my books – or a scientist helping us to understand new ideas. I became a scientist at a very early age, I formalized it in college. As a kid I had chemistry sets, biology sets, I’ve got fossil collections to go back to time I was eight years old, ancient artifacts, arrowheads, and seashell collections, and leaf collections, insect collections. I’ve always been that. That is my nature. [00:11:00] Here’s the deal, here’s what happened. It was in the 1980s, I was working behind the scenes during one of the most frightening times in the history of the world, in the Cold War years, when the former superpowers, the former Soviet Union and the former United States of America – because we’re not the same country anymore. [00:11:30] We had the nuclear weapons to vaporize this planet many times over and there were actually plans to use those weapons. It was absolutely insane. I was working in the industry by accident. I applied for a job in aerospace because I wanted to explore the stars. They hired me and then they put me where they needed my expertise – it was in the defense industry. There’s a whole story about what that meant to me and my response. What I saw was this: I saw humans that fundamentally love each other, and I believe that, I believe we love one another on this planet; in fear of one another, and resorting to technology to help themselves feel better about that fear. [00:12:00] My sense was that we have been here for a very, very long time, longer than science acknowledges. If we knew where in the past and how in the past to look at what our ancestors left for us, there we would find clues, and I’ll be very personal, I believe that if I knew where to into the past, I would find clues that would help us to transcend the fear that led to the wars that I found myself working in. [00:13:00] That was when I left the industry. I actually left the corporations and began searching in a high monasteries of Tibet and Bolivia and Peru and Nepal and India, and studying what the people and the traditions and the texts of the wisdom. It’s not science, but it’s a wisdom that they knew in their time. That I believe is universal and can help us to become better people and create a better world in our time. Spirituality is a big part of that. Not religion, but the spiritual relationship that we have with our own bodies, with the earth, and with one another, and with a higher power, and the cosmos, and the past, and the future. That was the trigger for me realizing that there is a wisdom that our ancestors held and cherished and preserved for us. I felt like it was a worthwhile endeavour to devout my life to seeking out that wisdom and sharing it in a contemporary way, and I continue to do that today. It’s a long answer to a short question. No. It’s a good answer. When you said “I’m a scientist” I felt great. Awesome. I love scientists because I need evidence and proof and hard facts. Then you mentioned the spirituality and the search and the journey. How does science connect with spirituality? [00:14:00] That’s a very good question. Here’s what I found. First of all, I’m just going to paint a context. The context is we are living what the experts are calling “a time of extremes.” It doesn’t mean only bad things or only good things are happening, it means big, big changes in the world and we could no longer separate our everyday lives from that world. That means big changes in our lives. We’ve got to think and live differently more so now than we ever have in the past. We have been educated to think in a way that simply isn’t true through separations or competition, through conflict. [00:15:00] Science. Science is a relatively new way at looking at the world. Science only began about 300 years ago when Isaac Newton formulated the laws of physics on the one hand. On the other hand, for over 5,000 years, our ancestors, ancient and indigenous traditions, they had to find the way to deal with their world and they did so through experiences and understandings. There weren’t science but what they knew worked for them in their time. Here is the key: much of the science that is being developed today closely parallels the wisdom of our ancestors – not all of it. This is where I think we need to be really clear and very discerning. There’s a lot … I’m just going to speak directly to our audience, audience who are watching us. [00:15:30] There’s a lot of good stuff out there and there’s a lot of very hawky, new age stuff out there that is dangerous to follow, especially when it comes to healthcare. I have personal friends who were no longer in this world because they chose to deal with the life-threatening disease through a belief that was not based in anything valid and it didn’t work for them and they lost their lives trying to prove it. [00:16:00] There are a lot of really good things out there, because mother nature has provided for us everything that we need and our ancestors understood this, to deal with whatever conditions in our bodies. I believe we owe it to ourselves to use the science to tell us what’s true and what’s not. What’s not true, I’m not going to judge it, we’re still putting more time. When something is true, let’s embrace it and find out how it applies in our lives. [00:16:30] I think this is true for healthcare. I think it’s true for solving problems between partners in a relationship, in communities, between nations. This is where the science and the spirituality, for me, they come together because I believe we owe it to ourselves to draw upon every iota of information that we have at our fingertips and apply it in whatever way we can to become better people and create a better world. We are on unchartered territory we’ve never faced in the world we’re facing now. We can’t go to a traditional textbook or a one size fits all solution. No, it’s great. It’s phenomenal. Yeah, yeah, yeah. I was going to ask you, do you think science is embracing this unbiased approached at the moment? That’s a very good question as well so what I want is to sound very clear. Excuse me. [00:18:00] I’m a scientist. I think science is good. Science is designed to be constantly updated with new information. This new information comes to life. Science to be valid must be updated and it must incorporate that new information. This is where I think science has gone awry. Science does not have all the answers. In the many instances in the modern world, science has been hijacked by other agendas, political agendas, corporate agendas, religious agendas. This is why I chose to cut through the red tape. [00:18:30] Climate, I’m just going to give you a perfect example, climate is a perfect example. I’m a geologist so I can talk about climate change all day long. It’s a fact. Climate change is a fact. Mother Earth tells us her story of climate through the ice cores of Antarctica, through the sea floor sediments. That story is a different story than the story that comes from a university professor who is beholden to the grant money that supports his work, or to a corporate scientist whose livelihood is beholden to the money that’s coming in, or to United Nation scientist who is beholden to the organization that put him in there. [00:19:00] We owe it to ourselves to dig deeply. My whole point, I mean, we could spend the whole program simply on climate change, what I’ll say is this: it is a fact. The story we’re being told is not the honest and truthful story. It’s because the climate is changing we owe it to ourselves to get to the bottom of that story. How can we be resilient to the change if we’re not honest with ourselves about the change? It’s a perfect example, I think, where science has been hijacked. The pharmaceutical industry is another example. Bruce Lipton talked about that so I don’t need to be redundant. I’m sure my brother Bruce did a very good job. [00:20:00] I also want to be very clear. This isn’t about making anyone right, wrong, good, or bad. I’m not judging any scientist or any industry at all because they do what they do. What I’m saying is: we are here now facing something we have never faced. I’ll just be very specific of what this is. What makes our time in history so different is that we’re living a rare convergence of three massive cycles of change that simply are not acknowledged publicly in Western science, in the classroom. [00:20:30] One of those cycles, we’ve just talked about, climate change is a cycle phenomenon and the climate change is happening right now. Cycle is unfolding within our lifetimes. That in and of itself is enough. That’s a game changer. But it’s not alone, there’s another cycle, economic cycles. There’s a 66 year long economic cycle. Unless you study economies or unless you have a memory of what has happened in the past, you’re not told, you don’t realize that we’re living the end and by virtue of that the beginning of a new 66 year long cycle where everything looks like it’s upside down. [00:21:00] Now we’ve got climate and we’ve got economy. The third cycle is one that’s very uncomfortable for a lot of people to talk about. It’s the cycle of human conflict. Human conflict follows natural rhythm. I talked about this in my book Resilience from the Heart. Many of those rhythms are based on solar cycles. Cycles of the sun impacting the magnetic fields of the earth that impact the magnetic fields of the human heart. What does that mean? It influences our aggression. We become more aggressive, less willing to cooperate when certain cycles are present. We become less aggressive, more willing to cooperate when other cycles are present. [00:22:00] Right now we are on an uptick of the cycle and it doesn’t mean we must have war, I want to be really clear. It doesn’t mean we must be aggressive. It means we are vulnerable. We are susceptible. It’s also an invitation if you know what’s the value of knowing this. This is where science can serve us. If you know you’re in a vulnerable cycle, then you can take the extra step and the extra care to communicate very clearly, to extend the olive branch, and the benefit of the doubt when you’re dealing at the UN with another nation or you’re dealing with your partner in a life-changing conversation because these cycles will trigger all of this. [00:22:30] The convergence of these three cycles is turning our world upside. We are living a time of susceptibility and vulnerability. It’s the new normal. It’s only a problem, gentlemen, if we don’t know that it’s happening. If we know it’s happening, it is actually a catalyst to bring new ideas. This is when new ideas are embraced because the old ones aren’t working. New ways of thinking, new ways of solving our problems, and we have that. [00:23:00] We’ve got new forms of energy. We’ve got new forms of producing foods for the planet. New forms of healing our bodies. Those things exist. New economies are developing, they don’t need to be based on money. We have to make room in our emotions, in our psyche to embrace those beautiful new things. That’s hard to do it if we don’t know that we are living this pivotal moment of change where we’re clinging to an old idea of what a normal is and what life should look like. If you’re waiting for things to get back to normal, it’s hard to embrace the beautiful new things that are right in front of you. [00:23:30] I got to say as well, Gregg, as human beings we become quite into us sometimes our own problems become huge and then the moment we start to look at even the bigger things that were going on globally you go “Oh my God” and we become bombarded with fear through the TV and everything that we have constantly. What would be the first thing we could do as an individual to go, you know, I need to step back and actually change something about myself to then be able to cope with these things? First thing, stop watching TV. [00:24:30] We cannot go back to a world that no longer exist. We are not going to see the climate of 20 years ago in our lifetimes. We are not going to see the economy that we grew up with in our lifetimes because for the first time we are a globalized economy. We’ve never had that before. We’re in unchartered territory. We’re finding out what that means. [00:25:00] Where I get excited is because everything is up for grabs everything that we thought was true now is being questioned. That is when there is an opening to embrace new ideas. The life of one person, the thinking of one person, if it’s embraced in a healthy way, it can change everything. I think that’s precisely where we are right now. [00:25:30] I’m just now thinking of it. As you know I fly airplanes a lot. My city of departure is Albuquerque, New Mexico and the public airport, the runway is shared with a military Air Force base. It’s very common to see military people on the planes. There was a gentleman from the Air Force, he sat next to me on this flight. He asked me all the questions. He said, “Business or pleasure?” “What do you do?” It was a three-hour flight so I told him. We were in the baggage claim area and he was rushing around. He got his bag and he’s running off and he said goodbye. I said, “Man, you’re in a hurry. Where are you going?” He says, “After that conversation,” he said, “I’m going to go home and make a baby.” I said, “Yeah. Yey, we did a good job.” Really it’s about perspective. [00:27:30] It’s because the world is in flux and we are now learning as a global society how to deal with that change the old ways of thinking obviously are not working and they’re not because the best science of the modern world is telling us those old ideas are wrong. The ideas that everything is separate from everything else, we know that’s not true. The idea that humans are separate from one another, we don’t know that’s not true. The idea that we’re separate from our own bodies, that we have no influence over the function of our bodies, we know that’s not true. The big one, the fundamental law of nature that we were told consciously and subconsciously is based on competition, struggle, scarcity, conflict, we know that’s not true. [00:28:00] We’re trying to use those old ideas and solve the big problems and you’re seeing how it’s working in the Middle East, you’re seeing how it’s working in Africa, you’re seeing how it’s working between … I mean, look at what’s happening between China and the West, and all the things happening in Russia right now ,and the way we share and distribute resources, and the way we think about energy and water and food and vital necessities. Those old ideas aren’t working and that means there’s an opening for new ideas. [00:28:30] That’s where Joe Dispenza, Bruce Lipton, myself, we’re all dear friends, we tour together. We have very similar messages, very different perspectives. I’m a physical scientist with a background in life sciences. Joe is a neuroscientist. Bruce is a molecular biologist. It makes a lot of sense for us to work together and we’re all sharing a very similar message in our own way. [00:29:00] Yeah. I kind of say this stuff is clearly pivotal and critical and perhaps of the most importance, but also shared by very small minority of a very big planet. Have we moved that messaging to the mainstream? As individuals, what should we do? Where do we go from here? It is, I know. It’s me. [00:30:30] Bruce Lipton and I were recently invited, as a team, they know we work together, to speak at the United Nations to share with the people who are putting together the plans for 2017 and beyond. Where should they devote their resources, their time, their money, their energy? What kinds of things can they expect so they can be prepared and not caught off guard when these things come along. It was a very brief presentation. It wasn’t highly technical. I shared with them the fact, the scientific fact that we’re living this convergence of cycles, the time of vulnerability and susceptibility and what we can expect from that. That’s the key. That’s that pivotal shift because without that shift you’re still thinking if we can just fix this, everything will be okay. If we can just fix this we’re going to get back to normal. We’re building a new normal. If that phone is for me, I’m not here. That’s Bruce Lipton. He wants to come on as well. Oh, please invite him on. I’d love to see my brother. He’s actually very close to you. He’s in New Zealand right now. He is, yeah. We had a good chat with Bruce. He is our neighbor. [00:32:00] I think the first thing is for us to become aware simply allow in a discerning way, be very discerning, but become aware of why now it’s so different from our parents’ time, from their parents’ time? Why we don’t have a guidebook 101 telling us, okay, trouble in the Middle East, here’s what to do. Epidemic of cancer, here’s what to do. We don’t have any of that. We’ve got … This is an unchartered territory. [00:32:30] We’re finding that the old ideas aren’t working so that’s putting us back to the possibility of embracing new discoveries. I have to tell you, in my books, I try not to be technical, but they are based in science. In science, there’s what is called “peer-reviewed science.” That’s different. [00:33:00] For example, a scientist can work at NASA during the day. He goes home at night and he writes a paper about climate change in his opinion and he throws it up on the internet. All of a sudden, the next day, you and I, we get an email that says “NASA scientist says blah blah blah.” Is he a NASA scientist? Yes. Did he say this? Yes. Is it NASA’s opinion? Is it peer-reviewed science? No. [00:33:30] Peer-reviewed science is when a scientist creates a paper or a study and they’re circulated through peers, hence the term “peer-reviewed science.” They will shoot holes in the ideas, they’ll test the theories, they’ll tell you where it’s wrong, where it’s right. Peer review, that process, it can take years. It can take six to eight years for an idea to circulate. Once it’s embraced, it is published in a peer-reviewed journal like the Journal Nature, for example, or the Journal Science. Even though it doesn’t guarantee 100% that it’s right, it’s pretty certain that what they’re saying has got some validity. [00:34:00] What I’m putting in my books is based upon peer-reviewed science that simply is not being shared in the mainstream. When I say it I mean mainstream television, mainstream classrooms, mainstream textbooks. It’s not being shared in the mainstream for a lot of reasons – ego, habit, power, money. [00:35:00] It’s different ways of thinking, but it is becoming more mainstream. It’s hard not to acknowledge that something is going on because the world looks pretty crazy right now regardless of where you’re coming from. I’ve spoken with politicians. I’ve been very blessed in my life. I have met two presidents, many politicians, many spiritual leaders, many religious leaders, social architects, scientists, engineers. They’re all looking at this from the very different perspectives and they’re asking the same question: what in the world is going on? What’s up? When they begin to embrace, they’re open now, they say, “Obviously, something is going on.” Now that’s the openness to go back and look at the new discoveries and apply them in our lives in a responsible, healthy way. That’s the key: responsible, healthy way. [00:35:30] I’m coming to Australia in February and that’s precisely what I’m going to be sharing very visual, very fast-moving, multimedia program where I get to share these new discoveries that will overturn 150 years of scientific thinking and the visuals where you can see the way the neurons are working. I know Joe Dispenza shared some of that when he was there. I’ve got things in my program that Joe doesn’t have in his. He’s got things in his that I don’t have in mine, so it dovetails beautifully. [00:36:00] Where I can share with you the climate cycles, where I can share with you the economic cycles. Here’s the big one, where I can share with you the new science that is showing us that we have specialized cells in the human heart. They are actually wired to help us embrace change in a healthy way. Cells to help us become resilient to the change, but we have to know how to address those cells. These are new discoveries. I just did a seminar and I had a heart specialist in my audience that said to me, “How come I don’t know about this discovery?” I said it’s not being taught in the classroom. It’s so new. It’s not being taught, but you’re with me so now you know about it. He researched it and he came back and he said, “Man, you are right on this.” He said, “This is really ahead of the curve. This is very leading edge stuff.” It’s about the intelligence, what has been discovered, I’ll just say this briefly because I opened the doors. We now know that about 40,000 specialized cells are found in a human heart that are essentially brain-like cells. They’re called “sensory neurites.” They’re like brain cells, but they’re not in the brain, they’re in the heart. Here’s the deal, they function independently with the brain. They think independently with the brain, they feel, they sense and they remember independently with the brain and there’s a different language to access that memory than we would typically use in the logic of our brain. [00:38:00] There are cultures that I have spent time with, indigenous cultures that have always known this and they emphasized and developed the tools, the techniques to see the world from this heart-based perspective and then they used the logic of the brain secondarily. We use the logic of the brain primarily and, if we’re lucky, get to use our heart as we learn to do it through our own experience, but nobody in our lifetime [inaudible 00:38:06]. [00:38:30] I wish somebody, when I was living in my dysfunctional and alcoholic family, had told me about the power of this wisdom of the heart and how it can tell me things about myself that no one else can tell me. We’ve all been in situations where something happens and we have to make a decision, maybe a health decision, and everyone of your well-meaning friends is going to give you a different answer. They’re going to say try this, drink this, do this, see this person, wear this crystal, breathe. It’s all good, but how do you know what’s right for you and nobody can tell you. That’s where these specialized cells come in because this heart wisdom knows exactly what is right for us and our bodies at the moment. It’s true with jobs and relationships, all of this. [00:39:30] I talked about this in the book and will talk about these in the programs. It’s the power of invoking what’s now called the “little brain” in the heart that’s actually the term that’s being used. Knowing that it doesn’t work the way our cranial brain works, learning the language to access and how to trust. How do you know when you ask a question that you’re really hearing from your heart or from your fear or from a condition or response in your subconscious? How do you know the difference? That’s one of the things that we address in the programs. Because how can you trust what comes to you if you don’t even know where it’s coming from? That was going to be my question actually. Yeah. [00:40:30] These are new discoveries, they’re based in rock solid science. Even when a scientist make the discoveries, science can tell us how something works. Science can tell us the nuts and bolts of how we function. Science seldom has the ability, the tools to tell us how to apply that new discovery in our life. Science is about knowledge, knowing how things work. When it comes to the wisdom of how we apply that in our lives, that’s where it takes a human. This is where 5,000 years of human experience and spiritual understandings come to bear upon the knowledge of the science in a meaningful way in our lives. [00:41:00] In my programs I do my very best, hopefully it’s fun, hopefully it’s interesting weaving these together. We go into the monasteries of Tibet to find our where did these people, they’ve devoted their lives, I don’t want to go live in an isolated mountaintop halfway round the world where it’s really cold all the time. However, people are brothers and sisters. This is our global family. Our brothers and sisters that have chosen that lifestyle have learned something and they’ve preserved it for a long time. We can learn from them and we can benefit from what they have discovered and apply it in an urban setting in our lives to help us to become better people and to deal with what life brings to our doorstep in a healthy way. We all deal with it. The key is how do we do it in a healthy way. [00:41:30] That’s where I think all of the science and spirituality, I think there is a new wisdom that is emerging. It’s more than a science could ever be alone. It’s more than the spirituality could ever be alone. It’s the marriage of the two into a greater wisdom if we have the willingness to embrace what those two ways of knowing can offer. I believe that is precisely what people like Bruce Lipton, Joe, myself are pioneering right now in this lifetime because we did it. Yeah, absolutely. My camera’s turned off I can’t lift up the book that I have Resilience from the Heart. That would explain why I’m looking at a picture of you on my Skype and you haven’t moved for the last 10 minutes. I thought you were just really mesmerized by this conversation. You were like this, but you have not moved and you’re still not moving. [Inaudible 00:42:27] From here. Well, I just want to, again, what you’ve told us seems to be radical, cutting edge, new science, of the utmost importance, but I, representing the general public, want to know where to start, where to learn more about that and try and see how that would then change my life. Best place to start, I go to your website, buy a book, start exploring XYZ, where do we go? [00:44:00] It does take a lot of work. When I was eight years old and going through very difficult times in our family, my mother gave me a book by a man, many of our listeners I’m sure are familiar with, he was an author and a prophet in the early 20th Century and the title of the book is called “The Prophet.” His name is Kahlil Gibran. Very, very powerful work. [00:45:00] Work is love made visible. We are worth the effort. We are worth … I’m going to look right in the camera, in my audience. Audience, you are worth the work that it takes in the shifting, the way you think and the way you live and the way that you feel about yourself and your relationship to the world because that work is your love made visible. It’s you loving yourself by embracing a new way of being. The first thing I invite people to do, every situation is different and we all learn differently. That’s the beauty of all the different teachers and books. There are people that will listen to this and will say, “That guy does not speak to me.” I cannot speak to everyone because we all learn differently. Someone else maybe able to do so better. [00:45:30] The beauty is because we all learn differently that whatever amount of time we have to put into whatever it is that we chose to do, the first thing is about awareness. If you’re watching this film you now are aware. You’ve learned that we are living a time of convergence, a time of extreme. Three cycles are changing your life, they’re changing the world. That’s peer-reviewed scientific fact. Go check it out. Look at the references in the book. [00:46:00] What do you do about that? That is determined by your passion and where it is you’re drawn to make a difference. No matter what you chose to do you must become resilient to the change. You have to find a way to embrace those changes in a healthy way in your life. [00:46:30] I have distilled that down in that book Resilience from the Heart and I’ll be doing the actual exercises leading people through it from the stage wherever I am in Australia. It’s about tapping the inner wisdom. I’m just going to say we are wired. We are literally wired. Our nerves are wired. Physiologically, genetically, we are fired for change. The key is we have to learn to tap into that wiring in a way that it embraces that change in a healthy way. [00:47:00] Our ancestors knew how to do that. Do you want to know somebody that’s been able to embrace change? Go talk to Tibetan women. If you think Tibet is tough for anybody, imagine being a woman living in Tibet and adhering to a spiritual tradition that is not supported in that part of the world formally through the government. They’ve had to learn to become very resilient emotionally and psychologically resilient. That means harmonizing the heart and the brain and all of these cells into a system that is full on able to embrace that change. Yeah. Brilliant. Absolutely brilliant. I was going to say it’s all about learning, like you’re talking about, tapping into that wisdom with the heart that science is now showing as well. It does. You know what, actually it even goes further than that. I know you wanted to ask me something, my sense is we’re coming close to the end of our program here. Am I right about that? [00:48:30] You want to ask me something about fear. When we are able to fully embrace the potential within us, it redefines the fear that we sense in a world of change. Where our fear typically comes, it’s the uncertainty of the outcome of what’s happening around us. Whether it’s our government or the climate, or our jobs or security or whatever it is, our health. It’s the uncertainty of the outcome and the uncertainty – this is key – the uncertainty of our capacity to meet that new experience in a healthy way. [00:49:00] When we embrace our personal resilience it actually shores up, it renews, it ignites this sense of confidence and esteem that we are able to deal with the change because that’s what we’re here for, that’s nature’s trigger for evolution. We are evolutionary beings. If nobody ever told us that when the world changes that looks scary as hell. Once we embrace our ability to meet that change in a really healthy way and incorporate that change into our lives, then the changes don’t look so scary anymore. [00:49:30] I’ve literally seen people go through what they call the dark night of their soul, which is where we come to a place in our lives where we lose everything that we’ve ever loved and cherished, sometimes even come close to losing our own lives. We lose partners, relationships, jobs, finances. Everything is gone and all that is left is the raw essence of our existence. [00:50:00] Once people, in that naked state, once they embrace the inner power, there’s nothing left, no diversions were left, they have to go within. Once they do that and embrace the power that they have within and successfully come through the other side of the dark night of the soul in better shape than they were before they went in, I literally have seen people, they come to me and they said, “I feel so good about myself. Bring on the next dark night of the soul. [00:50:30] Bring it on because they know that they can do it. I think that in a sense, I’m not saying that we all have to go to that extreme but, in a sense, we are going through the loss of something familiar about our past and it’s only scary if we do not have the confidence in ourselves to know that we’re going to be okay. One of the ways to either reignite or, for some people, to gain for the first time that confidence is to embrace the potential that lives within every human and that is what this work and my work is all about, Joe, Bruce and a lot of other really, really good speakers. [00:51:30] My mom’s health is declining very quickly and I can’t have this conversation with her anymore. When I could, my mom had a term for the world that she sees right now. What she said is the world is going to hell and a hand basket. That was her exact words. I mean, when you think about it, it wasn’t even mean. I know the intent. I’m not sure what the hand basket part means. [00:52:00] For people who see the world as just falling apart for no particular reason, once we give structure and meaning to the change, then they can let that fear go and say, okay, now there’s a reason and things aren’t just falling apart. Now what do I do? Where do I fit? This is where these new ideas come in. What you’re doing is opening the door to those new ideas. I love you both for it. You’re my brothers. I thank you tremendously for this opportunity. Brilliant. I’m thinking that you’re going to cover or answer lots of people’s questions in your upcoming tour as well. I just want you to just share just a couple of minutes what we can expect from that tour. Yeah. Where are you going exactly? Yeah. Yeah. We just did it. Let’s see. I’m just doing this from memory now. [00:53:00] I haven’t looked at my schedule for a while. Some of the programs are evening programs and a couple of them are full day events. In all of the programs, I will begin precisely what we did here. I’m going to paint the context of the cycles of change and give you the facts that you’re not seeing in the mainstream so you can see that. I’m then going to go into the 150 years of false scientific assumptions that we’ve all been steeped in, what they’ve told us and what the new science is showing. That will lead us into the new discoveries of our own bodies and the exact techniques that in direct experience in the room to embrace the resilience in the change in our body. [00:54:00] Each program will flow somewhat in that respect. Obviously, in a full day I can go into a lot more detail and a lot more personal content than I can in the evening. I want to tell you, in an evening, it’s not just a teaser. We go deep in the evening programs and every evening I will have a direct experience and a tool. If I never see the people in my audience again, I love them. I don’t know them but I love them. I want them to have a tool that they can carry out of that room. I don’t know what’s going to happen the day after or the week after, but when something happens in their lives and they have to embrace that big change, they’re going to think back and they’ll say, “I’ve got a tool now that can help me do that.” Every one of our program will have that. I’ll have it all under this interview on our blog post, Gregg, when it goes live for the next couple of weeks. I’m coming to the Melbourne One. I’m bringing a bunch of mates with me in exposing you to the world for the first time as well. Thank you. Stuart, where are you? What city do you live in? Byron Bay. The closest I’ll be to Byron Bay I guess is Sydney. Actually, Manly. I think I’m going to be in Manly. Okay. I know it well. We’re in Sydney actually on Monday so we are an hour away on the airplane so that’s super easy to get to. I’ll tell you a secret now. Nobody knows this. Last time I was in Manly, I mentioned I’m a musician, my wife is a musician as well, and we often play open nights and things like that. There was, I think it’s no longer there, there was a place in Manly called the Artichoke Café where we played for a meal and tips that night. Yeah. I know Manly well. I love Manly. I went incognito. I didn’t use my name and my wife’s name. She’ll be playing some gigs in Australia as well so we’ll have those posts on our website. Yeah. Let us know. I’d love to come along too. I play guitar myself, Gregg. I love music. [00:55:30] It does, mate Look, I appreciate the time, you’ve got to go, mate. Anyone listening to this, best website to go to for Gregg Braden, find out more. www.greggbraden.com. That’s G-R-E-G-G, there are two Gs, B-R-A-D-E-N. It’s got all the upcoming tour dates. I know the Australian dates are in there. It’s got a lot of free video, a lot of free content on there. It’s interesting if you want. It’s the official website. There’s a lot of other information out there that I can’t control, the quality of the images or how things are spliced together. The official information is right there on our website. Thank you so much, Gregg, for joining us on the show today. That was epic. Thank you, gentlemen. Thank you, my family in Australia. I look forward to seeing you in just a few weeks. I’ll see you in Melbourne, hopefully.